*President Barack Obama’s half brother is publishing an autobiography that details the domestic abuse that served as the theme for his earlier semi-autobiographical novel, which featured an abusive parent patterned on their late father. In his book “Cultures: My Odyssey of Self-Discovery,” Mark Obama Ndesandjo recalls alcohol-fueled beatings handed out by his father to his American mother, Ruth Ndesandjo, a Jewish woman who was Barack Obama Sr.’s third wife. He recounts one incident in which his father held a knife to his mother’s throat because she took out a restraining order against him. Ndesandjo also recounts his sporadic but intense encounters with his famous brother over the years in his self-published book, to be released in February. Additionally, the autobiography tries to set the record straight on some points in the president’s bestselling 1995 memoir, “Dreams From My Father.” In that book, Obama seeks to learn more about their father, a mostly absent figure, after learning of his death in a car crash in 1982 at age 46. Even though he felt their relationship was distant, “I hope that my brother and I can really hug each other after he’s president and we can be a family again,” said Ndesandjo. His parents met when Obama Sr. was a graduate student at Harvard University and moved in 1964 to Kenya, where Mark and his brother David were born. David later died in a motorcycle accident. Obama Sr. had earlier divorced President Obama’s mother, Stanley Ann Dunham, after Obama was born in Hawaii in 1961. Mark Ndesandjo’s mother later divorced the senior Obama and married another man, whose surname both mother and son also took. The 48-year-old author has lived for 12 years in the southern Chinese boomtown of Shenzhen, next door to Hong Kong. He moved there to teach English after losing his job when the U.S. economy cratered following the Sept. 11, 2001, attacks and now works as a consultant. Ndesandjo, who is married to a Chinese woman, learned to speak Chinese and immersed himself in the study of Chinese culture, including poetry and brush calligraphy. 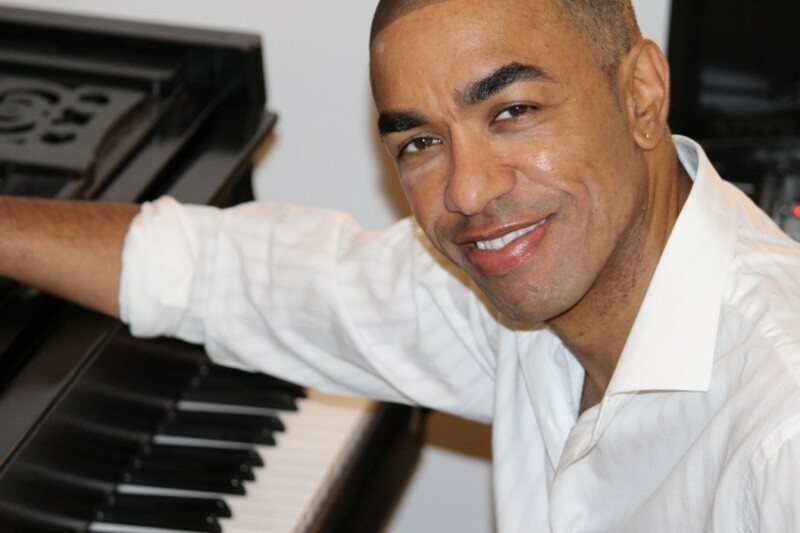 Trained as a classical pianist, he gives lessons as a volunteer at an orphanage. Ndesandjo and Obama did not grow up together. Ndesandjo was brought up in Kenya but moved to the U.S. for college, earning a bachelor’s degree in physics at Brown University, a master’s in the same subject from Stanford University and an MBA at Emory University. 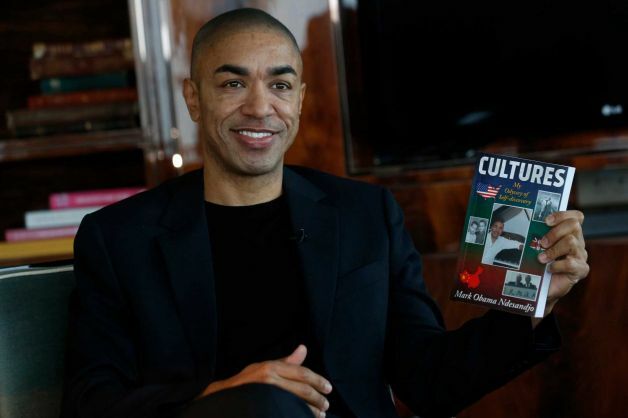 Cultures: My Odyssey of Self-Discovery recounts Ndesandjo’s first encounter with Obama, who was visiting Kenya in 1988. They did not hit it off. The 500-page book includes an appendix listing a number of alleged factual errors in Obama’s 1995 memoir, “Dreams from my Father,” such as quotes incorrectly attributed to Ndesandjo’s mother. “It’s a correction. A lot of the stuff that Barack wrote is wrong in that book and I can understand that because to me for him the book was a tool for fashioning an identity and he was using composites,” Ndesandjo said. “I wanted to bring it up because first of all I wanted the record to be straight. I wanted to tell my own story, not let people tell it for me,” he said. Some of the book’s profits will go to charities for children, including Ndesandjo’s own foundation, which uses art to help disadvantaged kids. Next ArticleKanye West the ‘Puppet Master’ Behind Kardashian Christmas Card?